operation. It is with good usability. 2. 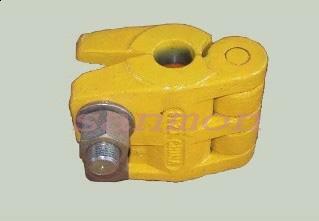 The rated working load for polished rod clamp should be more than or equal to the needed polished rod load. 6. Two bolts should be fastened evenly for the two-bolt polished rod clamp. 8. Executive standard SY/T5029 and API Spec 11B.